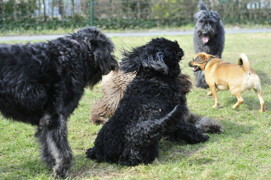 In our neighbourhood a dog playground was recently arranged/built. It is just a simple fenced in area where the dogs can play. 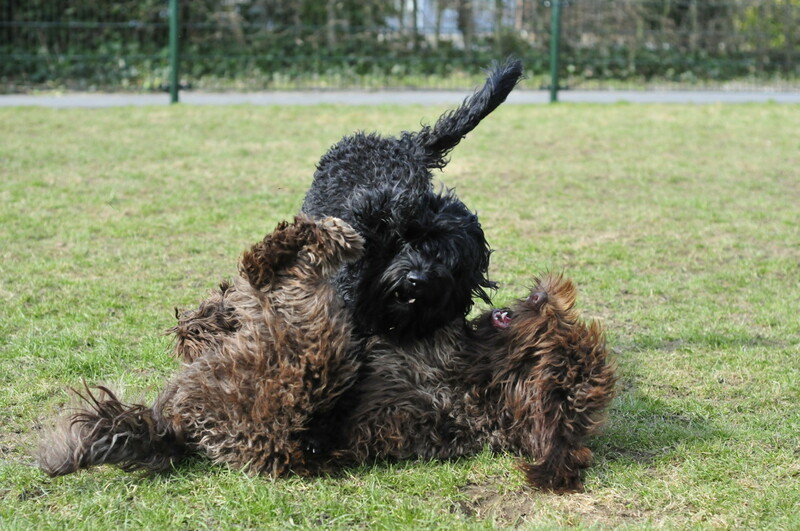 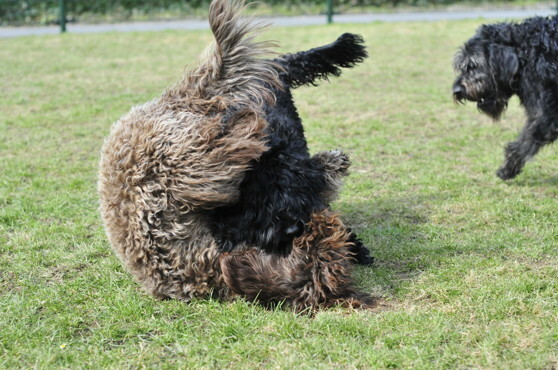 A lot of dogs gather there and this day a wild wresteling game took place between Yatzie and Moët. 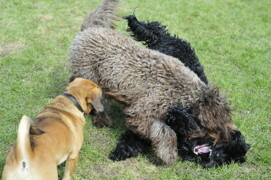 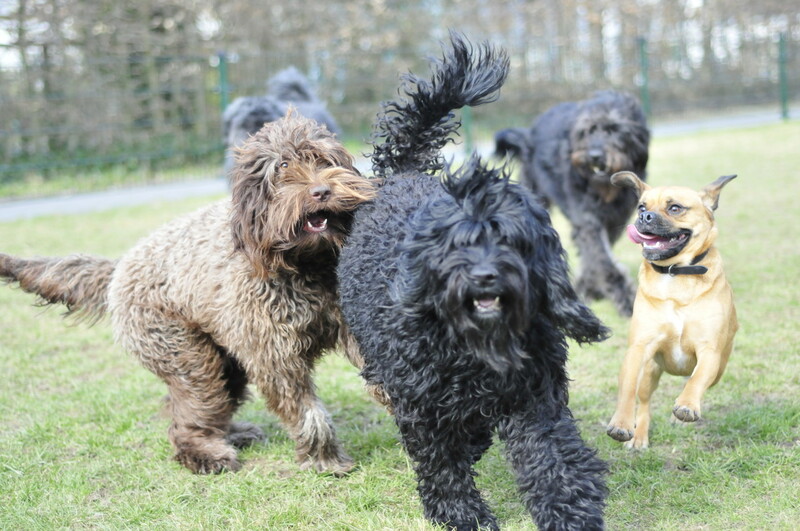 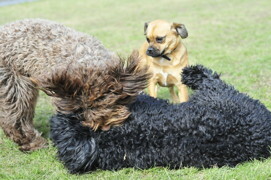 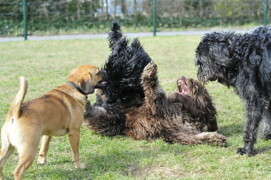 Other dogs wanted to join in the fun but when the two barbets start playing noone else can get into the game!